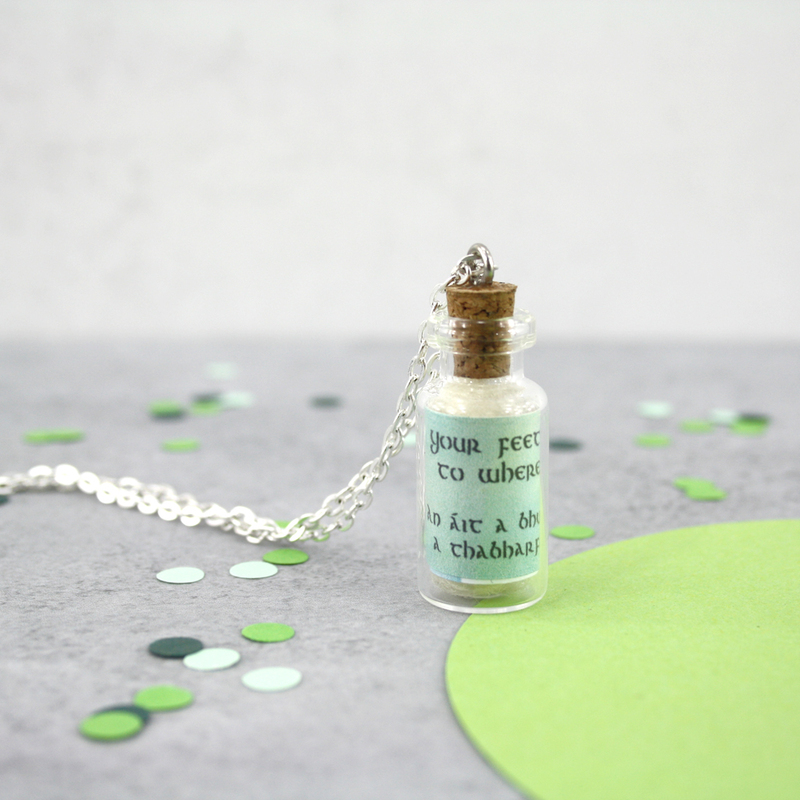 Part of my new Irish wisdom range, this Irish keepsake pendant is filled with a little piece of Irish wisdom. 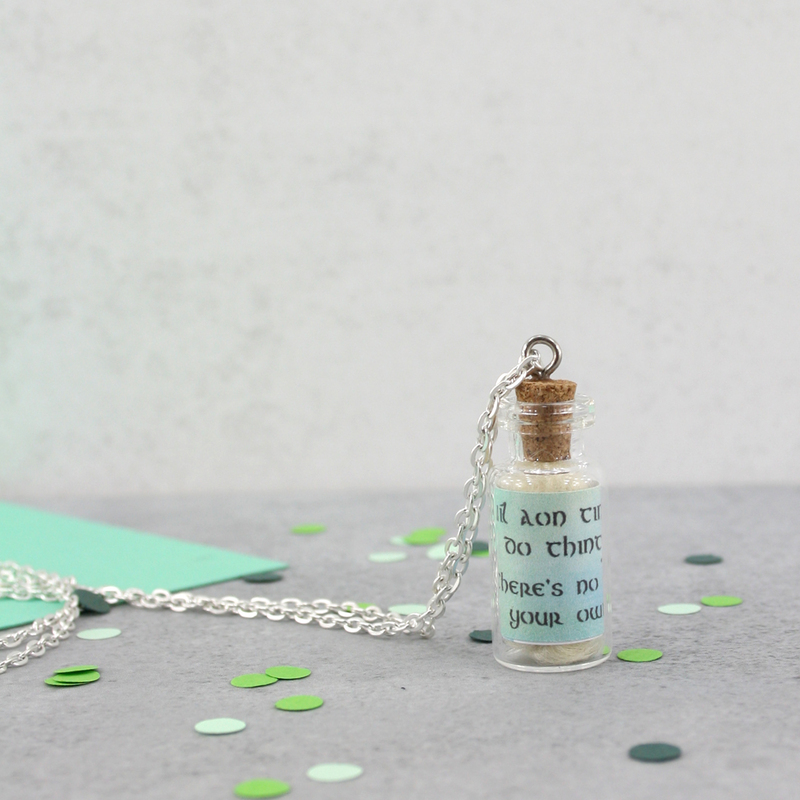 A beautiful Irish themed gift that is designed and made in my studio in Co. Kildare, Ireland. 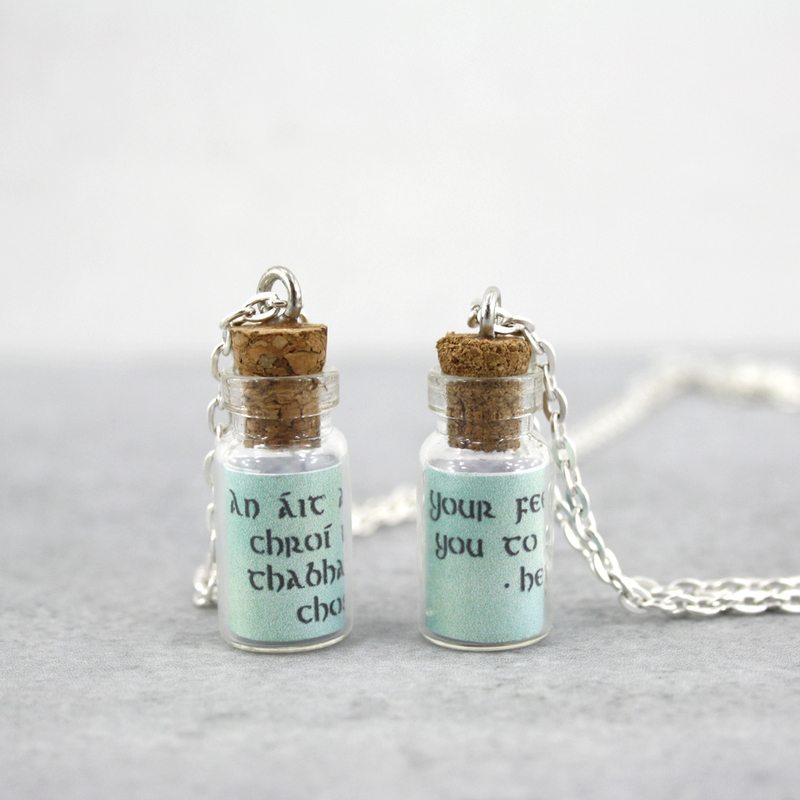 The bottle pendants are a lovely token to give your best friend or your daughter. 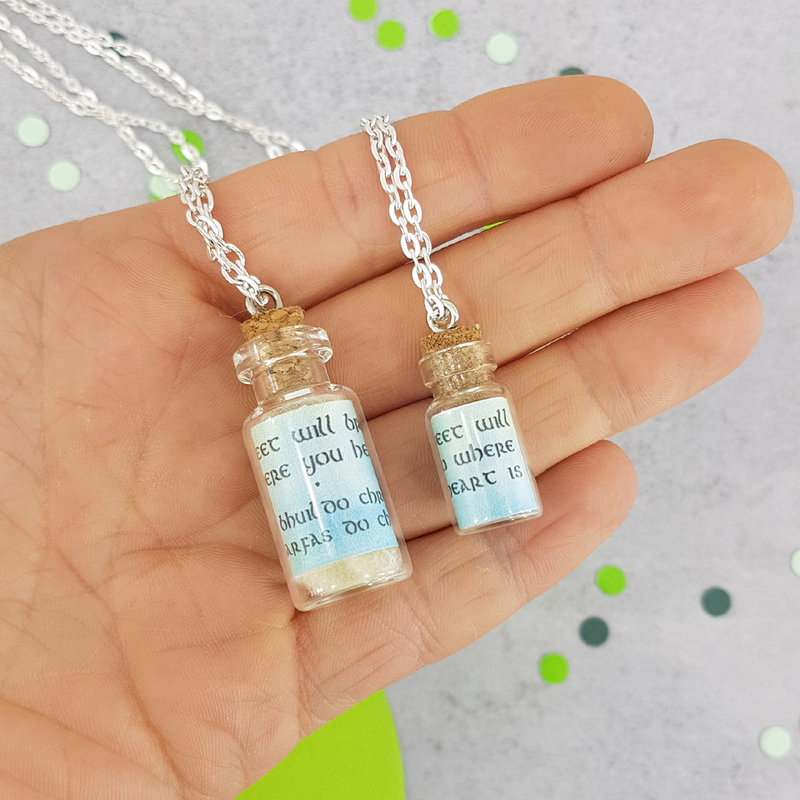 They would also be ideal as bridesmaid gifts. 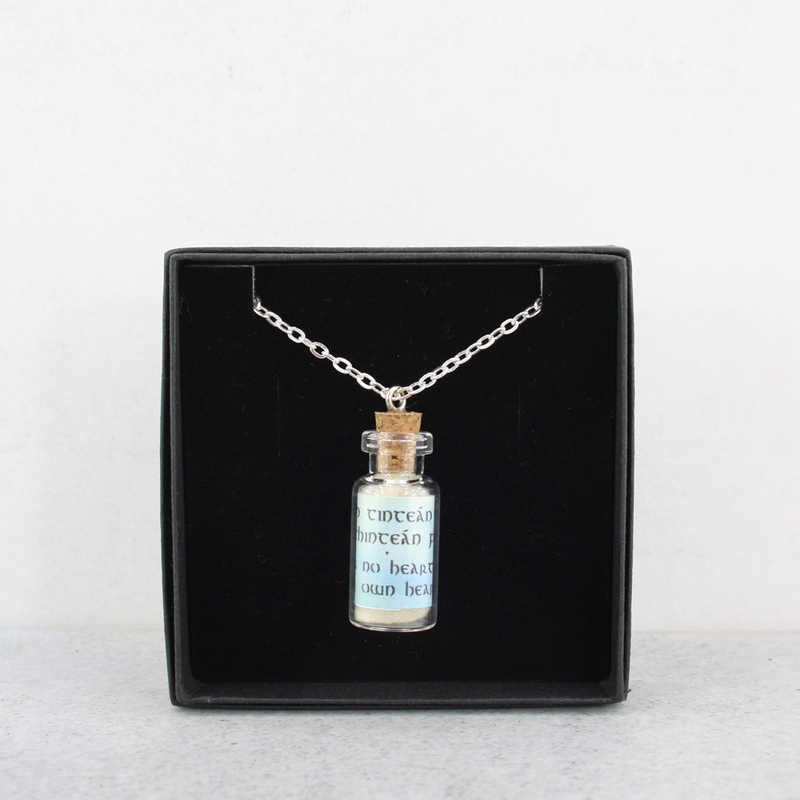 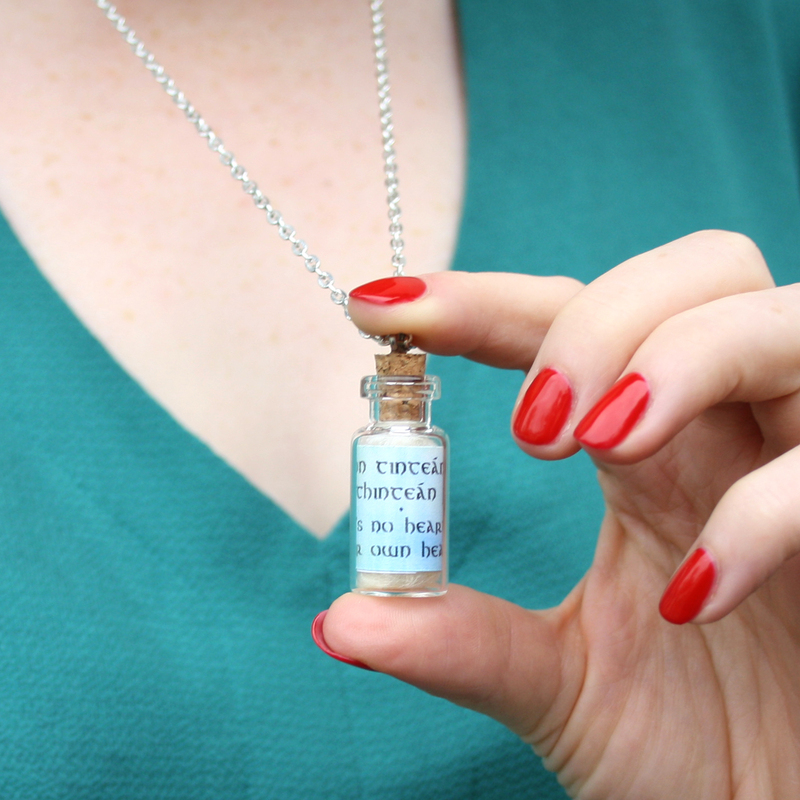 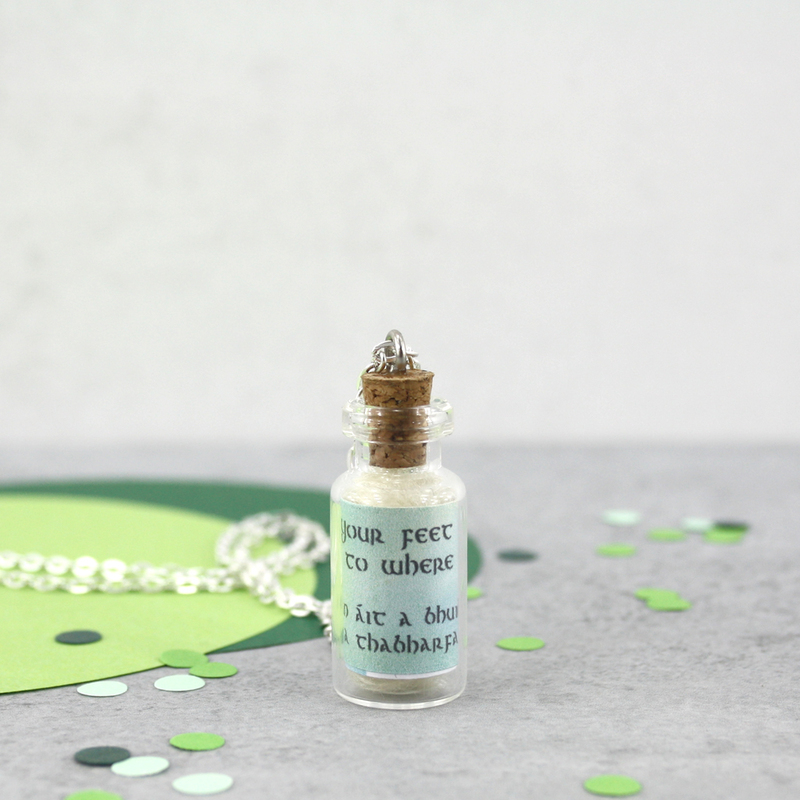 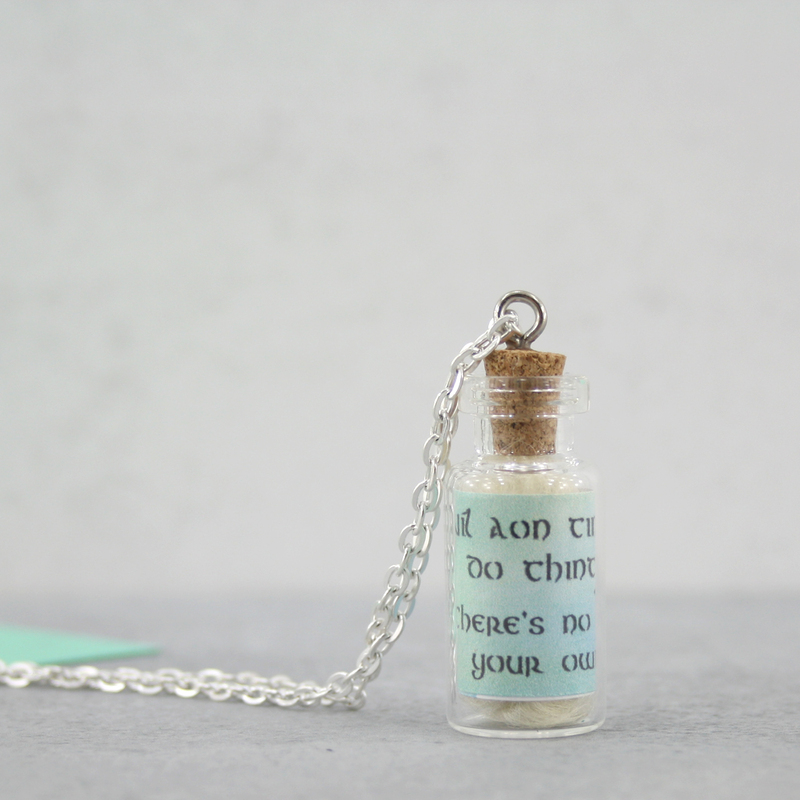 This bottle pendant comes in two sizes and you can fill it with the Irish proverb of your choice. 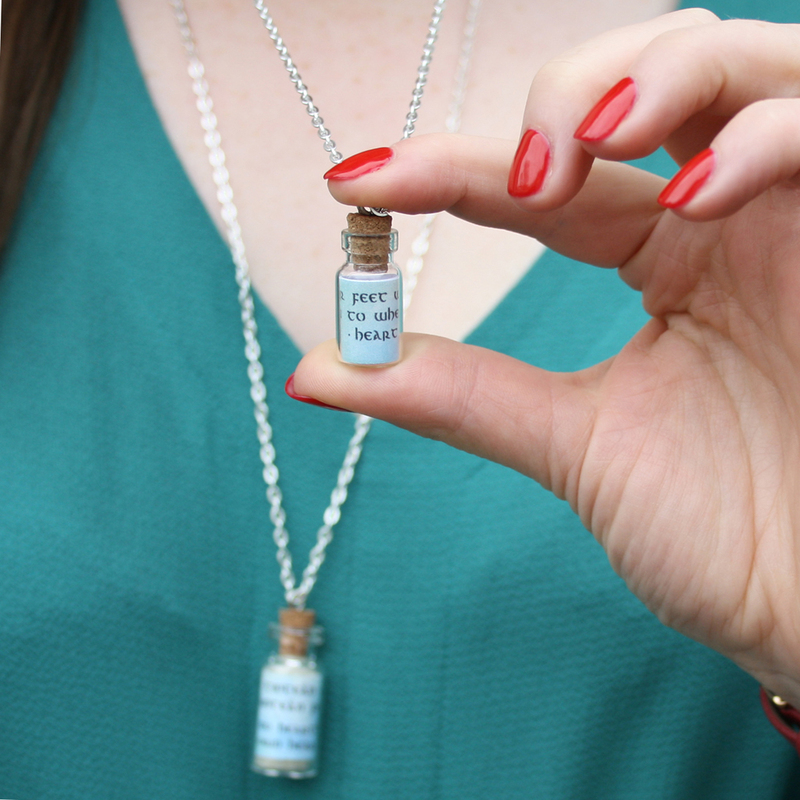 You can also have the larger bottle pendant filled with a tiny piece of Irish sheep’s wool. 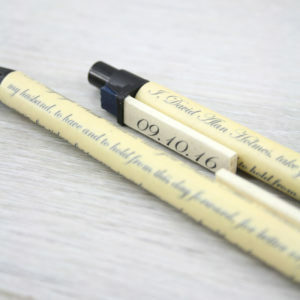 Select an option... 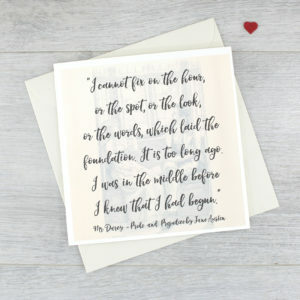 Your feet will bring you to where your heart is There is no cure for love but marriage A light heart lives a long time There is no need like the lack of a friend A little kinship is better than a lot of charity There is no strength without unity It takes time to build castles There’s no hearth like your own hearth A handful of skill is better than a bagful of gold There is no nation without a language Two shorten the road Time is a good storyteller Youth does not mind where it sets its foot. 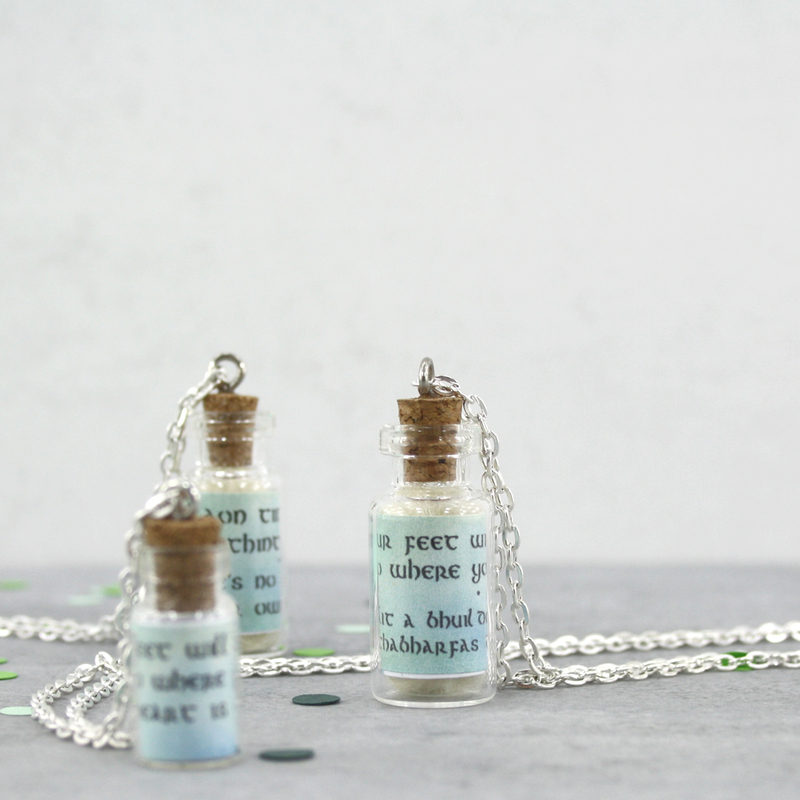 Irish Keepsake Jewellery. 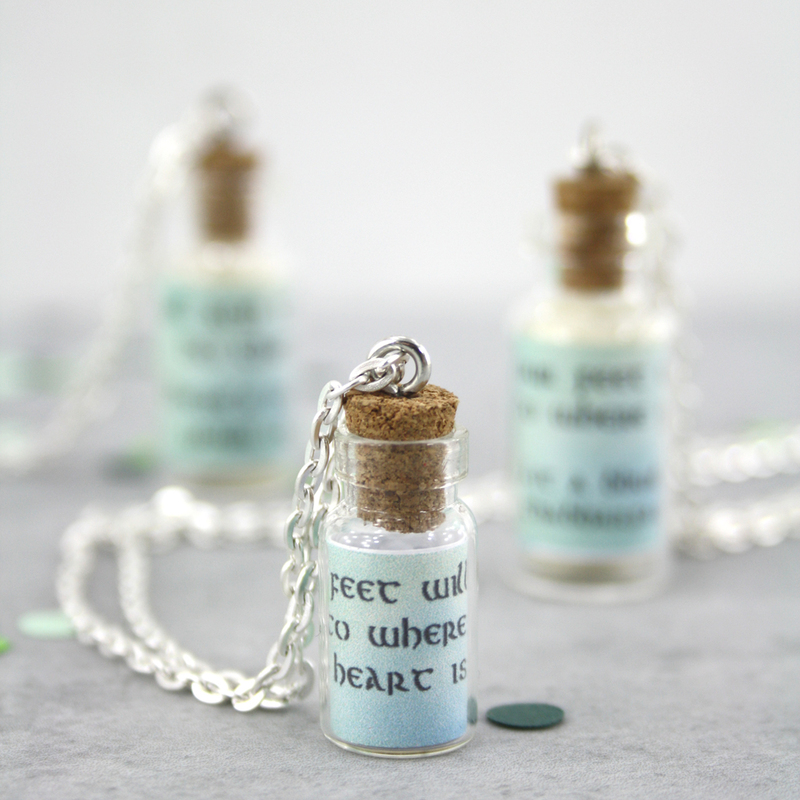 Keep Ireland close to your heart with one of our little Irish proverb pendants. 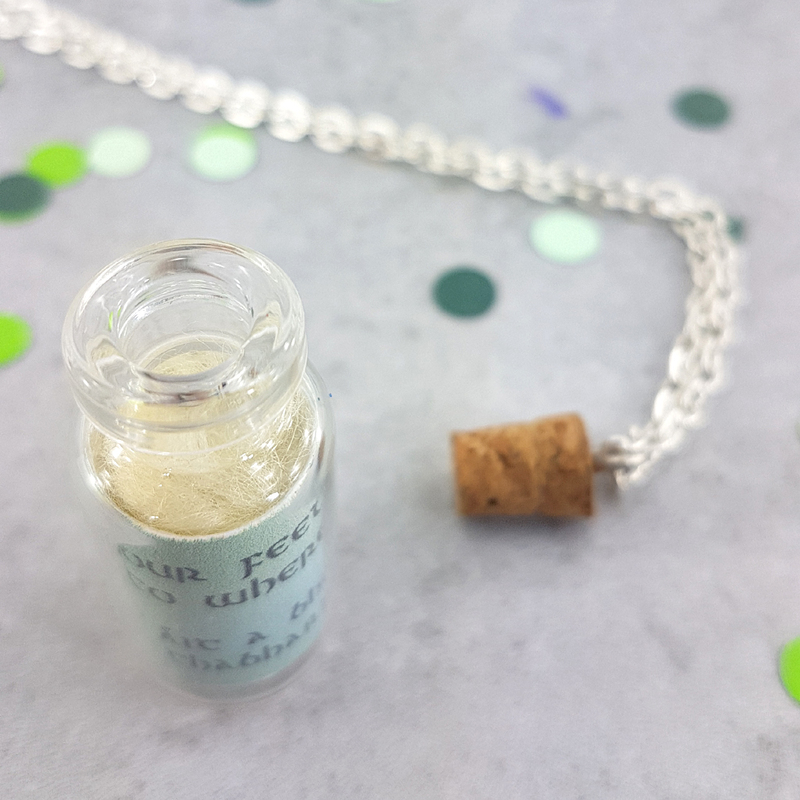 The bottle pendants come in two sizes, a very mini glass bottle and a midi size, both are nice and light and comfortable to wear around your neck. 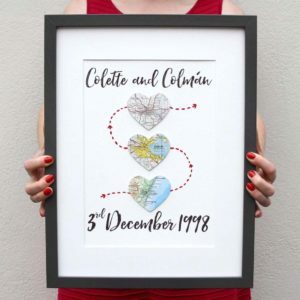 De réir a chéile a thógtar na caisleáin. 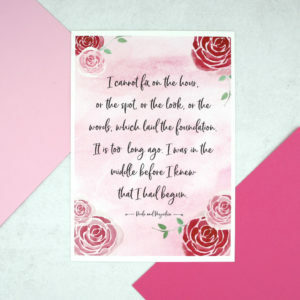 Is cuma leis an óige cá leagann sí a cos.